Description: Tandy Leather Economy Rotary Leather Punch is a hand held tool that is easy to use and adjusts for the six most used size holes in leather, vinyl, plastic or canvas. Ideal for lightweight leathers and occasional use. 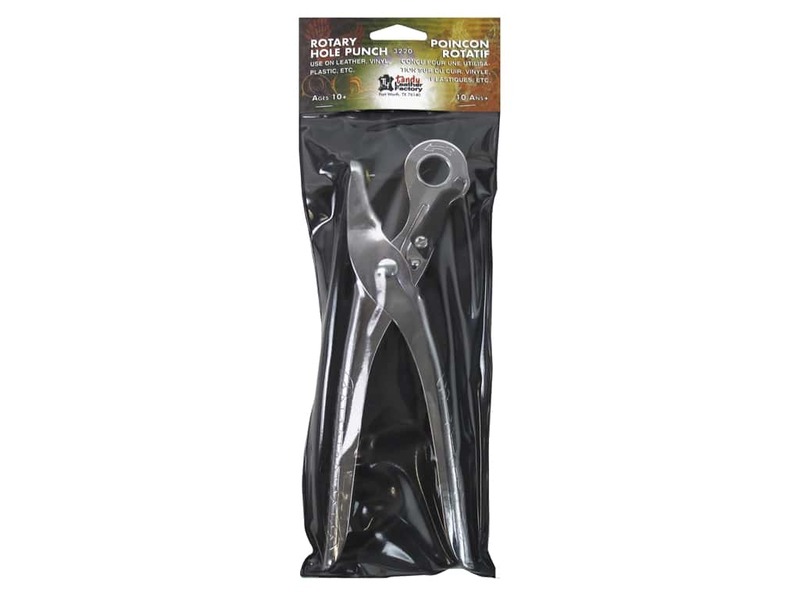 Includes hole punch for 1/8, 9/64, 5/32, 11/64, 13/64 and 7/32 inch. Constructed from tempered steel and is chrome plated. See more Tandy Leather Tools. Leather Factory Tool All Purpose Rotary Punch Set 5.00 out of 5 based on 1 ratings. 1 user reviews.